Today, Emilie Kahn released a music video for the song “Three” from her new album Outro, available everywhere now via Secret City Records. The video premiered this morning via the UK magazine Euphoria. Regarding the creative process Baz, the video director, shared the following : A six minutes song with 3 distinct parts is a real challenge for a director. I really wanted to do something different and try to embrace each universe of the song fully – so many in terms of tones, style and rhythm. Three is a song about desire and the need for absolute clarity, explains Emilie. It’s the the oldest song on the record and also the one that evolved the most during the process, from an intimate acoustic piece to a three-part epic suite, it was the first track Warren [Spicer] and I felt really proud of. Click here to watch / share the new Three video. 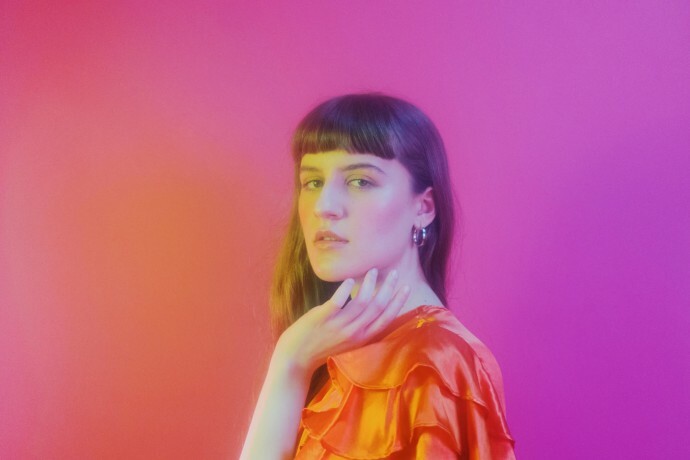 Brooklyn Vegan, Les Inrocks, Urbania Musique all premiered content from the new album while Glamour Paris, Le Point, CBC Music and many others have warmly welcomed Emilie’s return. ICI Musique mentioned that Outro could very well be the musical event of this winter… or even this year. Praises are pouring in for Outro – have a look at the quotes below. Three years after releasing her first album 10 000, Kahn is no longer the same songwriter. Outro, produced in collaboration with Warren C. Spicer of Plants and Animals, shows a craftswoman come into her own. Outro is a pained look back at the past as Kahn pores over every misplaced feeling and bad call. Teeming with adulthood’s melancholy, Kahn offers indie pop crafted with a miniaturist hand toward intimacy, while still reaching for the grandiosity of the genre’s icons. Listen / save the album to your music library here.